In Minnesota, no one under the age of 12 may operate a watercraft with a motor greater than 25 horsepower unless there is a competent adult on the boat who is at least 21 years of age and is within immediate reach of the controls of the motor. Note: No one under the age of 12 may operate a boat greater than 75 horsepower under any circumstances. Operators who are between the ages of 12 and 17 years (inclusive) may operate a boat with less than 25 horsepower without restriction. They may only operate a boat which has a motor greater than 25 hp if they have obtained their Watercraft Operator's Permit; or if they are under the direct supervision of a person onboard that is at least 21 years old and within immediate reach of the controls of the motor. No one under the age of 13 years may operator a personal watercraft (PWC). Operators who are currently 13 years of age must be under the direct supervision of a person onboard who is at least 21 years old. Note: If they have obtained their Watercraft Operator's Permit direct supervision is not required but they must have someone who is at least 21 years of age observing them at all times. For all those between the ages of 14 and 17 years wishing to operate a PWC, they must either be under the direct supervision of a person onboard who is at least 21 years of age; or have obtained a Watercraft Operator's Permit. 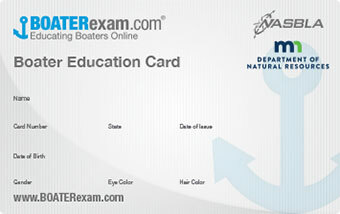 Boater Education is required for all persons between 12 and 17 years of age who operate a powered watercraft on Minnesota waters.